Today, Sugarleaf expands its mission in providing Filipinos better living and eating with the launch of Healthy Choices, a mini-mart of all things related to health and wellness. Sugarleaf co-owner and head of business expansion Rman Nepomuceno Lorenzo shares “It’s been an exciting journey but well worth the wait. 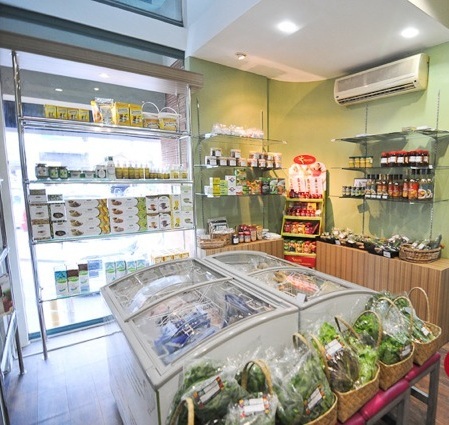 With the continued patronage of our loyal clientele, increase in new customers eager to live more healthily, and the forging of new partner-ships–most significantly the one with the La Trinidad Organic Practitioners (LaTop), we felt that it was time to differentiate the mini-mart concept from dining. We now have a more consistent supply of certified organic produce at more reasonable prices. “What started with a few of our original partners eager to join our expansion has now grown to a variety of small and big companies, home-based entrepreneurs, importers and distributors. We’re showcasing products for health and wellness from organic super probiotics from Japan to open-sea raised bangus from Mindanao to bee products from New Zealand to organic raw chocolate bars from Ecuador. Sugarleaf will be converting the mini-mart in their Makati branch at the MEDICard Lifestyle Center into Healthy Choices very soon, bringing a wider variety of products to the central business district. Open Mondays to Saturdays from 8am to 10pm ; Sundays from 8am to 2pm.